This Week, Erykah Badu Bared All. Like her last trip to the top of our weekly, local music power rankings, Ms. Erykah Badu's 12th Buzz No. 1 has a little something to do with her remix of one the summer's hottest songs/memes. This time, it's because the Queen of Neo-Soul teased the fact that the song will be included on a mixtape that she'll drop next week. But even bigger — locally speaking, anyway — is the fact that she'll debut her new “one-human” show tonight and throughout the weekend in Downtown Dallas. 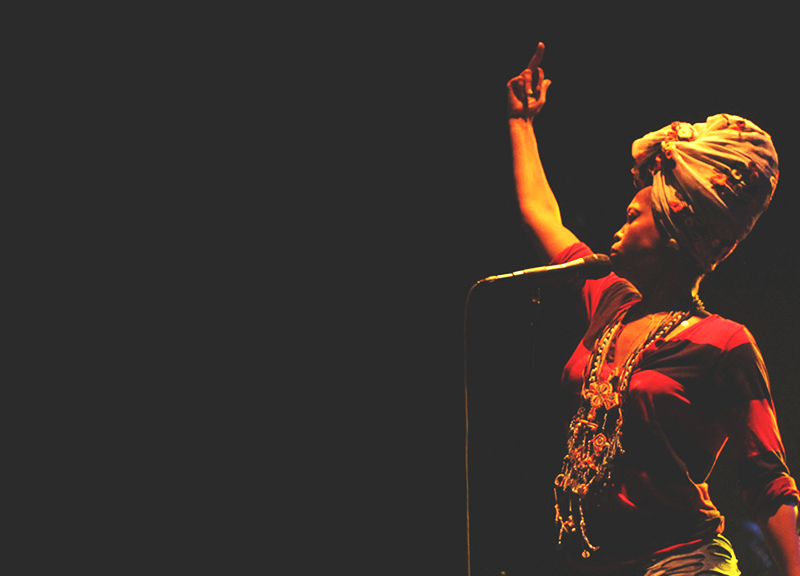 Overall, this marks a dozen Buzz Rankings victories for Badu, tying her with Sarah Jaffe for second all-time. That pair is still two away from Leon Bridges, though, who had quite the week of his own. The Funkytown soulman penned an original tune for Will Smith's new NFL movie, Concussion, which has already received some Oscar buzz for the “Best Original Song” category. On the whole, it was one of the biggest weeks for the NTX music scene ever, we'd guess. Not only were Pentatonix and Demi Lovato's new albums the top two discs on the charts this week, but four of the country's top seven albums had local ties. Selena Gomez and Justus joined those in the Top 10, while Bridges, Neon Indian and Don Henley charted lower down. In other new release news: Pinkish Black, The Great Tyrant, Brave Young Lion, Jessie Frye, VIDEO, Claire Morales & Daniel Markham and Black Taffy all have or will release new albums this week. As for Black Taffy's, that one's a chopped version of Thriller called Triller. Next ArticleThat’s What She Said.